Uncovering Stranger Things is a collection of 23 original essays that discuss some of the fascinating aspects behind the Netflix series Stranger Things. 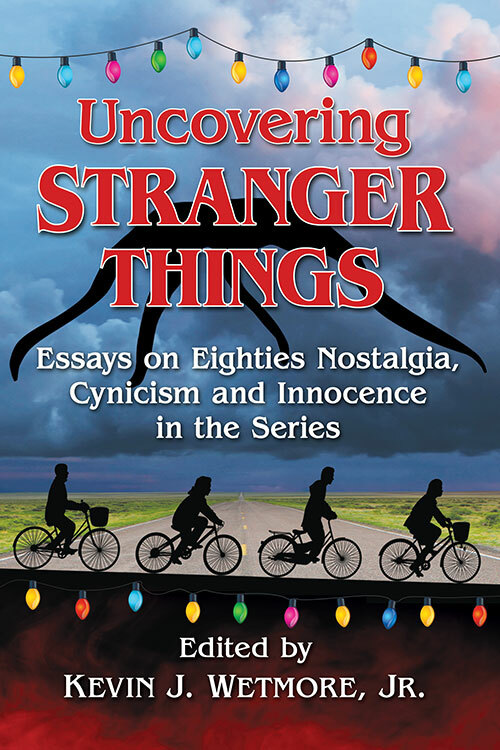 Written by a panel of scholars and educators from around the globe, Uncovering Stranger Things examines numerous subjects featured on the show. Among them: gender, sexual orientation, the films of John Carpenter and John Hughes, punk and synthwave music, the politics and psychology of the Reagan era, Dungeons & Dragons, and naturally... movie monsters! Jacopo's essay focuses on one of the most talked-about aspects of Stranger Things: the show's repeated references to the works of Steven Spielberg. Did you spot all the references to E.T. or The Goonies? Does Chief Jim Hopper remind you of another famous man in a hat, or several? Please read about this and more in Uncovering Stranger Things​!